Saudi Arabia is a non-nuclear weapon state and signatory of the NPT. During the Iran-Iraq War of the 1980’s, Iran and Iraq used ballistic missiles for terror attacks against each other’s urban areas and attacks on non-combatant nations in the Persian Gulf increased. Saudi Arabia began pursuing missile defense capability when Iraq fired Scud ballistic missiles missiles against the coalition military targets stationed in the Kingdom. On January 17, 1991, an Iraqi Scud was intercepted by a US Patriot missile defense system in Saudi Arabia. This event marked the first anti-ballistic missile fired in combat during the Gulf War. By enhancing its security architecture through missile defense, Saudi Arabia seeks to consolidate its place as a regional leader, protect its homeland, and safeguard its regional allies to further cooperation in the Arabian Gulf. 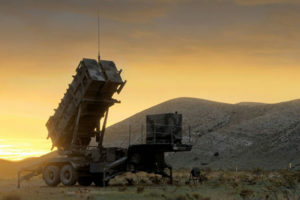 In 1991, Saudi Arabia became the first Middle East customer of the Patriot missile system and maintains the largest missile defense force in the Middle East. Saudi Arabia’s ballistic missile defense capability is designed to defend against its primary adversary: Iran. 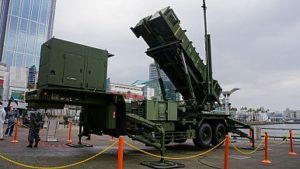 Saudi Arabia has used the Patriot missile defense system to defend itself twice against the Houthi rebels, most recently in March of 2018. On both occasions the main target of the attack was the Riyadh airport, the first attack in 2017 was successfully intercepted. March’s attack, however, still has some surrounding uncertainty. The Houthis fired seven missiles, and footage of the attack shows a potential failure of the Patriot system in its targeting of the missiles. 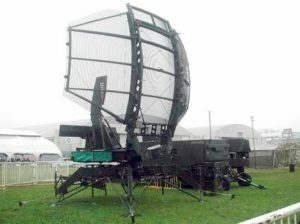 In the 1980’s, Saudi Arabia purchased two variations of the Hawk medium-range air defense system. 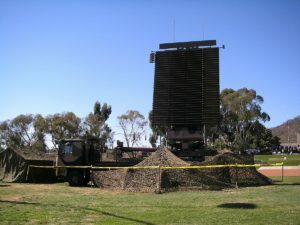 The Hawk’s surface-to-air systems supported limited anti-ballistic missile capability which pressed Saudi Arabia to purchase the Patriot system in 1991. With the acquisition of the Patriot system, Saudi Arabia’s air-defense net expanded. In addition to the Hawk SAM systems, Saudi Arabia possessed the advanced longer range Patriot SAM system PAC-2. In 2014, Saudi Arabia upgraded a portion of their PAC-2 systems to the latest PAC-3 upgrade. Authorized by the United States Department of Defense, the $1.7 billion Raytheon contract included ground-system hardware and support equipment upgrades. The upgraded PAC-3 system can destroy more targets with a direct hit and is more effective intercepting fast-moving ballistic missiles. After the May 2015 Camp David Summit, Saudi Arabia, Qatar, Kuwait, the UAE, Oman, Bahrain, and the United States have renewed their commitment to an integrated regional missile defense system which includes radar, early warning, and surface-to-air missile (SAM) sites. Growing regional tensions endangers the security structure within individual GCC states because conflict threatens critical infrastructure, border protection, and aviation security. Iran’s ascendancy to power and its ability to project influence in Iraq, Syria, and Yemen is a primary regional factor that elicits states’ fear  Mistrust inhibited previous efforts to build a regional defense system, however, fear has driven joint-GCC military cooperation which is evident through the union’s pursuit for an integrated defense system. Saudi Arabia and the UAE lead GCC efforts towards a U.S.- supplied and integrated missile shield because they are the only countries in the region that operate the same systems as the United States. At the May 2015 Camp David Summit, Saudi Arabia expressed the GCC’s need for new ground-based networks and computer terminals to foster integration. The United States government has expressed its dedication to enhancing Saudi Arabia’s defense mechanisms in order to defend and deter growing threats such as Iran. The two countries have also discussed the potential foreign military sale of the THAAD missile defense system to Saudi Arabia, recently approved by the Pentagon in May of 2018. Saudi Arabia also engaged in extensive negotiations with the United States to upgrade the Royal Saudi Navy’s Eastern Fleet through the Saudi Naval Expansion Program II (SNEP II). Despite negotiating the the SNEP II program for over seven years, there have been signs of potential movement for the Foreign Military Sales case. In December 2014, Lockheed Martin appropriated $93.8 million for the future integration of MK-41 Vertical Launch Systems (VLS) onto Saudi Arabia’s Naval fleet. VLS integration requires installation on either U.S. guided missile cruisers and destroyers or Aegis Ashore ballistic missile defense installations. This appropriation hints at a prospective Saudi purchase of US ships because Saudi Arabia’s Al Riydah-class frigates are incompatible with the MK-41 systems. Saudi Arabia has expressed interest in purchasing Israel’s Iron Dome missile defense system for its defense against Houthi rebels in the area. 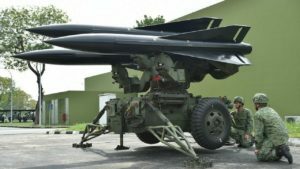 Lockheed Martin was also awarded a $130.3 million foreign military sales contract for PAC-3 anti-ballistic missile systems. The contract will provide for 35 missile segment enhancements, 100 launcher modifications kits, parts, software, and missile round trainers. Recipients include Qatar, Saudi Arabia, the United Arab Emirates, the Republic of Korea, and Taiwan. Saudi Arabia is in the final stages of talks with Russia over their S-400 missile and air defense systems as well; if a deal were to come to fruition, Saudi Arabia’s defense capabilities would grow greatly and would provide stronger protection against the Houthi rebels. The S-400, called the Triumph system, can simultaneously engage up to 36 targets while still providing multifunctional radar and target detection. With a range of 400km, the S-400 anti-ballistic missile system is the most advanced Russian system to date. Being in possession of the S-400 system would send a message of strength to Iran as well, Saudi Arabia’s biggest aggressor and equal power in the region. 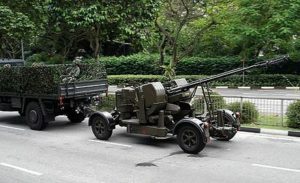 Additionally, Russia agreed to sell Saudi Arabia a Kornet-M anti-armor system, a Tos-A1 rocket launcher, an AGS-30 grenade launcher, and a Kalashnikov AK-103. It is possible this sale will create tension between Riyadh and the United States, as the Countering America’s Adversaries Through Sanctions Act (CAATSA) of Fall 2017 was to directly prohibit defense sales to American allies by Russia.